Public sector organisations have a lot to take into account when considering which heating option to choose for a facility. Cost, environmental impact, maintenance, effectiveness and comfort all play a part. Educational facilities have moved more towards underfloor heating as the primary heat source in recent years due to many factors. 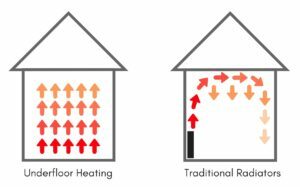 Reduced risk of injury is one of the main advantages over conventional radiators. Pipework and the surface temperature on a radiator can reach 75°c, which in turn can cause serious burns when contact is made. Due to lower operating temperatures and the pipework or electric matting being hidden under the floor, underfloor heating removes the risk of burns. Vital wall space is freed up and unnecessary risk from sharp edges on radiators are avoided. Also, there’s more flexibility when designing the layout of offices and classrooms as more wall space available. Reducing risk is important, as is the benefit of creating a healthier environment. With underfloor heating air movement is reduced and the reduction in dust particles and airborne germs leaves rooms cleaner and healthier. A real health benefit to those who suffer from asthma and other respiratory issues. Although carpet is a floor finish option with an underfloor heating system, due to the reduced moisture level by warming the floor first, it’s too dry for dust mites to survive in the carpet, promoting better air quality. The comfort of students and staff is important when in the learning environment, the even heat distribution from underfloor heating leaves no cold spots in the room. On top of all of this there’s the environment to consider, and another benefit to the system is its potential for zero ozone depletion. 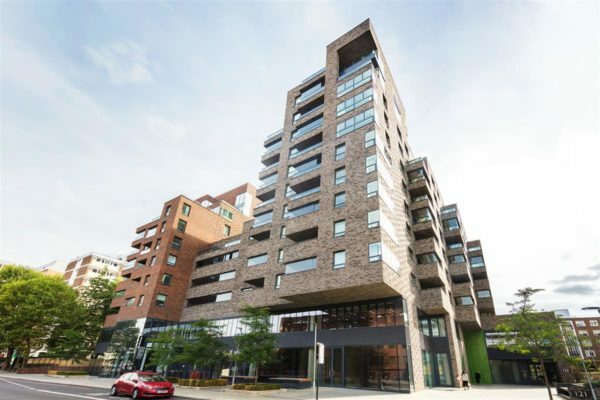 The system will run at a low water temperature, significantly reducing energy usage, which in turn lowers the carbon footprint of the building. With over 30 years’ experience, we’ve been providing heating solutions to public sector organisations across the UK and Ireland, a couple of our completed projects in this sector are West Suffolk College, Hewett Academy, Norwich and Hallam University, Sheffield click to find out more.